1. Reputation – Does the company you are looking at have a good reputation within the community? You do not want someone who has continued to produce bad results for their clients working on your residential or commercial site. 2. Experience and Garage Door Installation Process – You want a company that has years of experience and a garage door installation process that will be efficient and reasonably priced. 3. Service and Warranty – If you’re wondering what to know before hiring a garage door company, one thing you should do is make sure there is a price guarantee and installation warranty. 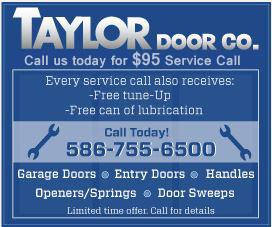 Taylor Door Company will never make you pay more than $300 for a garage door repair. Taylor Door Co. installs entry doors, interior doors, windows and garage doors. We are a family company with over 30 years of experience. Taylor Door offers custom glass designs and estimates on any project. For more details about what to know before hiring a garage door company, contact Taylor Door today! Does My Entry Door Need Fixing? If your entry door is cracking, dented or chipped, it may be time for a repair. Luckily, this is a pretty simple process that you can even do yourself. If you think your entry door may be in need of some repair, begin by taking the door off the hinges and removing the specific parts which may be faulty. Simply bring these parts with you to the hardware store or order the parts yourself from a source such as DIY Door Store. What If Your Entry Door Needs a Complete Upgrade? If you feel that your entry door has seen better days and are ready to upgrade your entry door, make sure you do some research. When it comes to determining what to know before upgrading your entry door, it’s important to see what is within your budget and what kind of installation, time and tools are required. Your entry door is often the first thing people see when they enter your home. It is also a major security checkpoint. These two reasons alone are enough to reinforce the importance of a proper entry door installation. So before upgrading your entry door, evaluate the reputation of the company. Have others had a good experience? Does the company value safety? When it comes to features and service, do you get everything you pay for? Now that you’re aware of what to know before upgrading your entry door, you may be ready to take the next step. 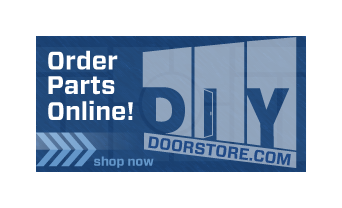 In addition to answering your questions, Taylor Door Company services and installs entry doors of all styles and sizes. Call today! What Is Your Front Door Conveying?